Pass the Hummus. Hold the Mayo , Please. Fries dipped in ketchup … potato salad drenched in mayonnaise … and ribs smothered with barbecue sauce … You love it; your waistline, not so much. Maybe it’s time to downsize. Dressings, dips, and sauces can be a big downfall when we are trying to cut back and eat a little cleaner. Ketchup, & steak and barbeque sauces are loaded with sugar. Mayonnaise, sour cream and salad dressings can be high in saturated fats. It’s time to open your mind (and taste buds!) to these heart healthy alternatives. These dips and spreads also add inventive flavors to everyday sandwiches, wraps and burgers. Salsa has the few calories, but salsa preparations can vary widely. A good salsa made with tomatoes, and without too much added sugar, can be treated as a vegetable: it has no fat, lotsof fiber, and many other nutrients. Replace salsa for higher fat/carb salad dressings for a delicious taco salad. Stir into scrambled eggs or omelets. 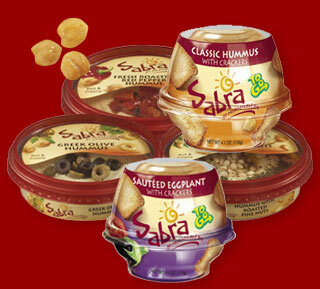 Incorporate hummus as part of your balanced diet. Hummus is basically pureed garbanzo beans, also known as chickpeas. Garbanzo beans contain many nutrients and have numerous health benefits. They are high in protein and fiber. An ounce of hummus has 7% of your daily fiber. This high fiber also prevents blood sugar levels from rising too rapidly after a meal, which is especially important to diabetics. Chickpeas themselves are relatively low in fat, but the presence of olive oil boosts the fat content in hummus. Olive oil, however, is rich in monounsaturated fat, a type that is heart healthy. Thus, not only does olive oil contribute its unique flavor to hummus, it also imparts significant health benefits relative to creamy or other high-fat alternatives. creative too. Try adding a few roasted red peppers or jalapenos for more kick or a few canned artichokes. At least one popular commercial brand lists a serving size as 2 tbsp. or 27 grams, an amount that contains 50 calories, 5 grams of carbohydrate, 3 grams of fat and 1 gram of protein. If you love fatty, creamy, hearty foods and want to avoid the cholesterol and toxicity of meat and dairy, anchor your diet with avocado. Avocados contain 60% more potassium than bananas; they are also sodium and cholesterol-free. An avocado has a higher fat content (5 grams per serving) than other fruit, but the fat is monounsaturated fat, which is considered healthy when consumed in moderation. Avocados can replace butter by using it as a spread on bread. Use as healthy dip or dressing for veggies and salads. Replace sliced avocados for mayo on burgers, sandwiches and wraps. This condiment is hard to beat because it has minimal calories and fat, but the sodium can add up quickly by the teaspoon. When purchasing ketchup, mayo, salad dressings and barbecue sauces; choose lower sodium / lower fat versions and downsize the amounts added to recipes. You got to EAT FAT to LOSE FAT! Dietary fats supply the body with the most stable sources of energy fuel and since they contain more calories per gram than protein & carbs they burn more slowly making you feel fuller longer. When you cut out fat, you replace the calories with faster burning carbohydrates which not only make you feel hungrier sooner, the “wrong” carbs will play havoc with your glucose (blood sugar) levels. Fat cells are necessary for hormone regulation, storing energy, and providing cushioning for our internal organs. The problem is not in the presence of fat but the amount. The U.S. Department of Agriculture’s Dietary Guidelines recommend that adults get 20%-35% of their calories from fats. At a minimum, we need at least 10% of our calories to come from fat. The key is to understand which fats are healthy and which are not so you can begin losing weight safely and successfully. The healthy fats are the mono-unsaturated and polyunsaturated. The fats to avoid are trans fats and saturated fats as they put your body at risk for many diseases. To help you distinguish the “good” from the “bad, remember that saturated fats are solid at room temperature. Monounsaturated fats are found in avocados, peanuts, natural peanut butter, olives and olive oil (extra virgin). Omega-3 Fats: the body does not manufacture Omega 3 fats, which means we must consume them either in the foods we eat or with supplementation. Omega 3’s burn fat by helping the body respond to a hormone called Leptin which tells the brain to suppress the appetite, increases thyroid output – which in turn increases metabolism Food sources for Omega-3 are: Salmon, tuna, herring, sardines, flaxseed, pecans, walnuts and hazelnuts. Omega 3’s are also known to boost brainpower, ward off depression and decrease inflammation. Omega 6 oils are common in the diet and are not usually necessary to supplement. Raw almonds or sunflower seeds are a good source and a few can be eaten daily to ensure their supply. immunity and halt cancer growth. CLA also promotes cardiovascular health by preventing the build-up of fatty deposits in the arteries and around the heart. CLA is found only in various meats & milk products – But remember CLA is a fat & will not be found in skim milk or non-fat yogurts (where fat has been removed). Consider also that the fat burning benefits of CLA may be offset by the higher amounts of bad fats in many cuts of meat. So if you are staying away from full-fat dairy products and fatty cuts of beef, you might consider taking a CLA supplement. Studies have shown that CLA helps people to lose weight because it’s a good fat. Consuming it accelerates the body’s metabolic rate while slowing the body’s conversion of dietary fats into body fat. . The recommended daily dose of CLA is 3-7 grams. If you supplement with CLA, be sure it contains 80% CLA to receive the optimum fat burning results. The American Heart Association’s Nutrition Committee strongly advises that healthy Americans limit their intake of trans fat to less than 1 percent of total calories. 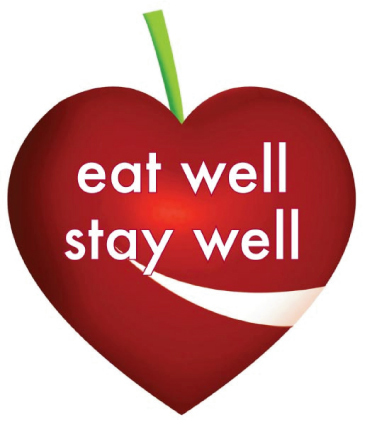 Choose a diet rich in fruits, vegetables, whole-grain, high-fiber foods, and fat-free and low-fat dairy most often. Keep total fat intake between 25 and 35 percent of calories, with most fats coming from sources of monounsaturated and polyunsaturated fats such as fish, nuts, seeds and vegetable oils most often. Use soft margarine as a substitute for butter, and choose soft margarines (liquid or tub varieties) over harder stick forms. Look for ”0 g trans fat” on the Nutrition Facts label. French fries, doughnuts, cookies, crackers, muffins, pies and cakes are examples of foods that are high in trans fat. AVOID THEM!! Limit the saturated fat in your diet. If you don’t eat a lot of saturated fat, you won’t be consuming a lot of trans fat. Limit commercially fried foods and baked goods made with shortening or partially hydrogenated vegetable oils. Not only are these foods very high in fat, but also that fat is likely to be very hydrogenated, meaning a lot of trans fat. Limited fried fast food. Commercial shortening and deep-frying fats will continue to be made by hydrogenation and will contain saturated fat and trans fat. When the body gets enough – (and healthy sources) of fat through diet, it will not feel the need to hoard fats by enlarging adipose tissue….hmm. Food for thought. Mirrors don’t Lie… and the Scale don’t tell the Whole Truth. Lose the Fat, NOT the Muscle! a little tidbit about body composition. Obtaining your best physique requires monitoring your weight and body composition changes. It also requires documenting changes in strength and energy all while tracking nutrient ratios by counting calories and weighing foods. The amount of calories you need to achieve your desired goal is influenced by body composition. Your body is made up of water, protein (or muscle), fat, bone, carbohydrate, vitamins, and minerals. Body composition refers to the amount of lean body mass (muscle) and fat mass in the body. The goal of your diet and weight loss plan should not be to lose weight, but to lose body fat… while maintaining lean muscle. Losing muscle results in a lower metabolism, and can ultimately cause your weight loss plan to fail. Don't judge your progress by weight alone! you are losing body fat or muscle, so you could be losing muscle and not realize it. A scale also doesn’t tell you if you are gaining muscle. Again, muscle is good. But when you are on a weight loss program, gaining muscle can be both confusing and discouraging if you don’t realize how it’s affecting your weight. The solution is not to judge your progress by weight alone, but to calculate the percentage of your weight that is body fat and make it your goal to reduce that number, not just your weight. So hard as it might be, DO NOT RELY ON THE SCALE as a sole measure of success (or failure). Mirrors don’t lie, and a mirror is actually a great way to see changes in your body. Clothes don’t lie either, and seeing how your clothes fit is a great way to observe the changes in your body. Or if you’d like to be a little more accurate and keep records of your progress, you can take measurements. Measure the circumferences of your upper arm (bicep), chest, waist, hips, and thighs using a flexible tape. Your goal with body tape measurements is consistency. Take them the same every time you take them and you will get an accurate view of your progress with each body part. Use a flexible tape measure to monitor changes in body composition. If you use the scale to monitor and document your progress, weigh yourself only once per week, the first thing in the morning. This is when your water content is most constant. There are several methods available to determine your body composition, or percentage of body fat. The most accurate is called hydrostatic testing (immersion in water) but it is not practical as it is usually performed in a lab or hospital setting. More practical options include Bioelectrical Impedance Analysis (BIA) scales and skin fold measurements using calipers. BIA scales are very convenient but do not give as accurate readings as calipers – unless the readings are done in a physician’s office. The handheld body-fat analyzers that are often used in commercial gyms can often miscalculate the amount of fat you are carrying on your body. Results can be skewed by several factors because it has to factor in certain assumptions about the person and use those assumptions in the equations that are programmed. (Usually, height, weight, gender, age). Skinfold Measurements measure the subcutaneous fat folds around specific body parts (triceps, waist, thigh, and back) with skin calipers and are available in either manual or digital formats. Either of these methods will enable you to monitor your progress at home. An optimal body fat percentage for a non-athlete man is around 10-14%, while it is around 16-20% for a non-athlete woman. These percentages should provide a lean appearance. The difference between genders is due to the fact that men are naturally more muscular (lean) than women. With proper nutrition and a healthy workout regimen, you will see those numbers get smaller as you burn fat.